Public Relations (PR) industry has started growing in the past one decade enormously. Many educational institutions have started separate courses on PR to prepare the students for this industry. Many educated youngsters join this industry with fat salary. PR is no longer 'Media centric'. The clients expect to get 360 degree brand image, to face the global competition. The curriculum in the educational institutions do not match with industry needs. The youngsters who come out with book knowledge, need to get integrated with the industry. This could be possible only through continuous updating and learning process. Do the young professionals take initiative in updating their knowledge and skills? Do the young professionals have a right attitude to connect to the industry? Even when the opportunity is provided, how do they utilise this to their advantage? To what extent senior professionals in the industry take interest in grooming the seniors? Is the learning aligned to the right practices? Do the professionals share the case studies with fellow professionals? With these questions, we contacted Mr Vikram Kharvi, a Mumbai based young journalist turned PR professional over phone for an exclusive interview. Mr Vikram Kharvi is moderating a discussion group on PR for the past one year and also publishes a PR newsletter from this month. 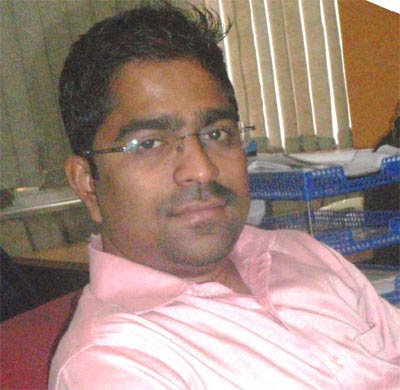 He is one of the few young professionals, who take lot of interest in developing the profession. 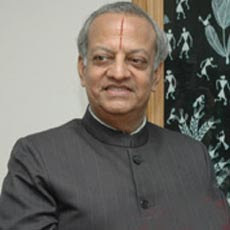 Mr N Gopalaswami, retired as Chief Election Commissioner of India on 20th April 2009. 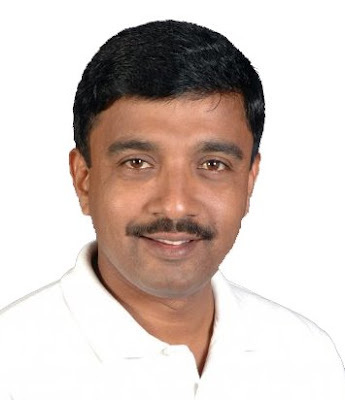 A 1966 batch IAS Officer of Gujarat cadre, hails from a small village in Tamilnadu and through his hard work and dedication, he reached the level of Chief Election Commissioner of India. He has also held very high positions in the Government of India, including the Secretary of Home Ministry during critical days. In the last few weeks, he was more spoken in the media for his upright and frank recommendations on Mr Navin Chawla, the Election Commissioner and also on the case of Ms Sonia Gandhi. On one side, though some of the political parties criticise him for his stern actions, on the other side, many of the youngsters hail him as a 'role model' or as a 'hero' in their blogs for his courageous actions. He is considered as one of the upright and most honest officer in his own bureaucratic circles. 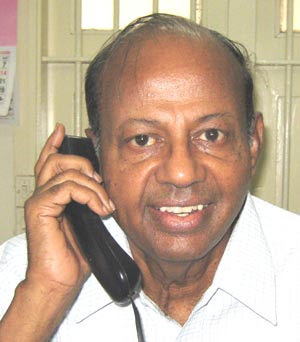 Today (28 April 2009) morning, I spoke to Mr Gopalaswami over phone to record his podcast interview. In a free wheeling conversation, he spoke on his source of inspiration, his spiritual beliefs, usage of technology in governance, his achievement, his disappointment, role of youth, etc. When I asked him who was the source of his inspiration for his uprightness in his career, spanning forty years in civil service, he told me that before joining IAS, he prostrated before his grand father and sought his blessings. His grand father, a man of high integrity, advised him in Tamil, "Nermaiyaha iru". That means, his grand father advised him to be utmost honest with integrity in civil service. Mr Gopalswami was wondering as to what prompted his grand father to advise him like that. Later, he came to know about the bad experience of his grand father in Government offices due to corruption and lethargy, which prompted him to advise. Mr Gopalswami told me that till date, he was keeping up the advise given by his grand father. In the post-retirement period, he wants to study Vaishnavism through contact classes. He will be attending classes on Saturdays and Sundays. He has already completed one semester. He plans to complete the remaining three semesters of this course, by attending classes. Please listen to the interesting and freewheeling conversation in full by clicking 'play' button in the flash player. The audio streaming will be smooth in broadband connections. If the streaming is not smooth, right click this link and save the mp3 file to your desktop and listen through mp3 player. (18 m 21 s). Please bear with us for the quality of audio, as it was recorded over phone. Madurai Kamaraj University provides Distance Education programme at Post Graduate level on Mass Communication/Journalism and Advertisement/Public Relations. 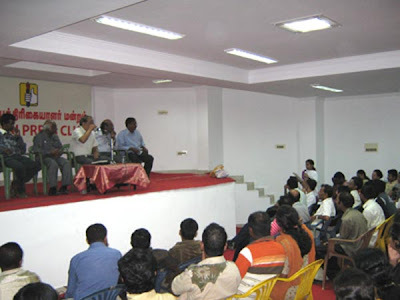 Contact classes were held at Chennai during this week for the first year PG students of Mass communication. For the first time ever in any University, the University organised a live Press Conference and Interaction programme for these students with the help of Chennai Press Club. They had invited Mr T S Krishnamoorthy, Former Chief Election Commissioner of India for this interaction session. Mr S P Lakshmanan (Editor, Arasiyal), Mr Bharathi Thamizhan (Joint Secretary of Chennai Press Club), Mr Nurullah (Senior Journalist), Prof. M V Nagarajan (Co-ordinator for this Distrance Education programme) were also present. Since, I am in the Board of Studies of this University, I was also invited. The interaction session lasted for one hour. The future journalists, were very creative in asking several questions. Please listen to their interview by clicking 'play' button in the flash player. (The audio streaming will be smooth in broad band connections. If the streaming is not smooth, please right click this link and save the mp3 format to your desktop and listen. 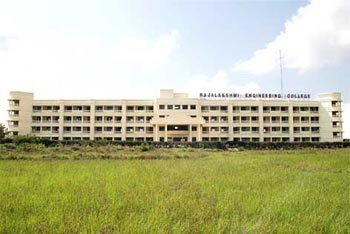 Rajalakshmi Engineering College, Tandalam (Near Chennai) started in 1997 with 180 students in 3 Branches of Engineering, has now grown to nearly 4000 students in 9 Under Graduate and 8 Post Graduate programmes. They are now affiliated to Anna University, Chennai. Anna University has approved research facilities in three departments. Besides accreditation by NBA and NAAC, they have also been accredited by Industry majors like TCS and CTS. With the encouragement of their success within 12 years, they would like to become an University in three or four years to compete at global level. In an exclusive podcast, PodUniversal features them. Please listen to the podcast by clicking 'play' button in the flash player. (Streaming will be smooth in broadband connections. If you find any difficulty in streaming, you can right click this link and download wmv format by saving to your desktop. You can play through windows media player). Whether music can cure diseases or reduce stress? Whether music can breed success? What is the difference between Carnatic music, Hindustani music and Western classical? What is the origin of music? With so much of questions, we approached Mr Rangasami Parthasarathy, a doyen in the music industry. Mr Parthasarathy started his music journey at Chennai as Tamil film music director in early 1950s. The first published song of the well known singer Ms S Janaki was in his Music direction. After a successful stint as music director, he migrated to United States in 1971. He started his music publishing company Oriental Records Inc in USA. The first audio CD of Indian classical music was produced by him in 1986 with Pandit Ravishankar playing Sitar and Allah Rakha, father of world renowned Tabala maestro Zakir Hussain, playing tabala. Name any renowned singer either in Karnatik or Hindustani, you will find their exclusive albums in his production. When Dr Abdul Kalam was the President of India, Parthasarathy composed music for Dr Kalam's poems with popular singers S P Balasubramaniam and Unnikrishnan singing them. Even in mid 70s, he is so passionate about music, that he always breaths, eats, talks only music. When we, (Prime Point Foundation ) started the podcasts in June 2006, he gave us lot of encouragement. In December 2006, we started publishing PodMagazines. Mr Parthasarathy suggested the name "PodUniversal" and offered the background music, (which you will be listening in our PodMagzines), produced by him with Kadri Gopalnath, on Saxaphone. Though he holds the copyright of this music, he has permitted generously to use this music as our background music. We have now completed around 200 podcasts. Many of the podcasts carry this background music. This music has been admired by all across the globe and this music has positioned the PodUnivrsal well. Bhagwad Gita defines 'leadership' relevant for modern days. Bhagwad Gita, rendered by Lord Krishna during the Mahabarata war is more than a spiritual text book. Gita contains lot of management techniques and tips. In the present day competitive world, we find dearth of leadership. People always mistake the leadership either as position or power. Many of the great leaders like Mahatma Gandhi or Martin Luther King never held any positions or enjoyed any powers. They were conducting themselves as 'role models' for others. Today, many corporate leaders talk more and never 'walk the talk'. That is not leadership. Whatever the leader does, it should be followed by others. The leader should leave a legacy behind him. When Indian Home Minister Mr P Chidambaram was addressing a Press Conference at Delhi on 7th April 2009 at Congress Head Quarters, one Mr Jarnail Singh, a reporter of a Hindi daily asked the Minister as to why Jagadish Tytlar was given 'clean chit' by CBI from 1984 Sikh riots. It may be recalled that during 1984 Sikh riots, more than 2700 Sikhs were killed in Delhi and Jagadish Tytlar was also accused of his involvement in the riots. 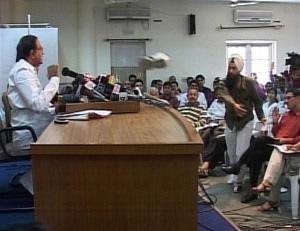 Not convinced with the reply of the Minister, Mr Jarnail Singh, threw his shoes on the Minister as mark of his protest. The shoe did not hit the Minister directly and it fell on his side. When this event was shown live, there was a heated debate as to the behaviour of the journalist. On the other side, there are also debates about the scant respect given by the Government on the sentiments of Sikh community. Mr Jarnail Singh, though was removed from the Press Conference Hall, was subsequently left off without registering any case. Though Jarnail Singh is believed to a calm, religious and soft person, some 'hidden emotions' in him has made him to throw the shoes on the Minister. On behalf of PodUniversal, I contacted Mr Jarnail Singh over his mobile and asked him, "what made him to behave like that in the Press Conference". In an exclusive interview with me, he regretted for his emotional outburst and he is also prepared to say 'sorry' to the Minister when he meets him next time. Please listen to his free and frank interview by clicking 'play' button in the flash player. (The audio streaming will be smooth in broad bands. If you encounter any difficulty, please download the audio in mp3 format and play through your mp3 player). Shortcut to become a celebrity - Attack pubs and girls! Mr Promod Muthalik, Founder of Sri Ram Sena was the most unknown and insignificant person of Mangalore till two months back. One day, he attacked the local pub and few girls who were there. The entire media including Television cameras published this event and made him the most popular man of India. All political parties and senior leaders started condemning him and demanded his arrest. The Televisions were giving minute to minute development of the event. The women organisations across the Nation, on their part, started condemning him, which were published in all the media. The terrorists also did not lag behind in their attempt to make him a 'celebrity'. They also seem to have added him on their 'hit list' along with Varun Gandhi. 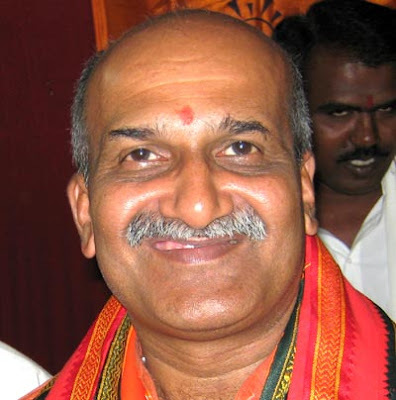 Pramod Muthalik visited Chennai today (4th March 2009) amidst tight security. The entire media converged on him. Muthalik, with his smiling and beaming face addressed a 'big' Media Conference explaining his plan of actions. When the entire media fraternity, senior political leaders, women activists and even the terrorists have all joined together to make him more and more popular and a National Hero, i did not want to be left alone. So, I also decided to contribute my share to make him a 'great warrior'. I could manage to get 5 to 6 minutes of his busy schedule to interview him exclusively for PodUniversal. I asked him few embarassing questions and he answered everything in a smiling manner. (He has learnt to be a good leader within this two months). Moral of the story : If you want to become popular over night and be recognised by Media, women activists, political leaders and even terrorists, attack the pubs and girls. They will take care of the rest and you can sit and enjoy your leadership position. You can even start dreaming of becoming the next Prime Minister and start a party!